www.darktwincities.com - View topic - Free Tickets to The Loft! "The right place to do wrong." DTC loves giving away free stuff. In this case our movie promo friends at Allied Integrated Marketing are letting us give you tickets to The Loft at any Minneapolis area AMC. 1) Shoot an email to Minneapolis@43kix.com with THE LOFT in the subject line. If you win you'll get an email on 2/2. Good luck! 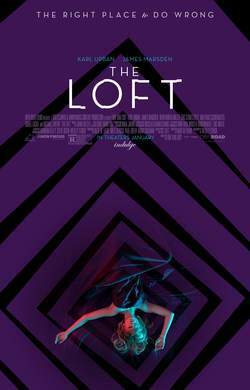 Karl Urban (Star Trek Into Darkness) and James Marsden (2 Guns) star in the tense psychological thriller THE LOFT, the story of five married guys who conspire to secretly share a penthouse loft in the city--a place where they can carry out hidden affairs and indulge in their deepest fantasies. But the fantasy becomes a nightmare when they discover the dead body of an unknown woman in the loft, and they realize one of the group must be involved. Paranoia seizes them as everyone begins to suspect one another. Friendships are tested, loyalties are questioned and marriages crumble as the group is consumed by fear, suspicion and murder in this relentless thriller.